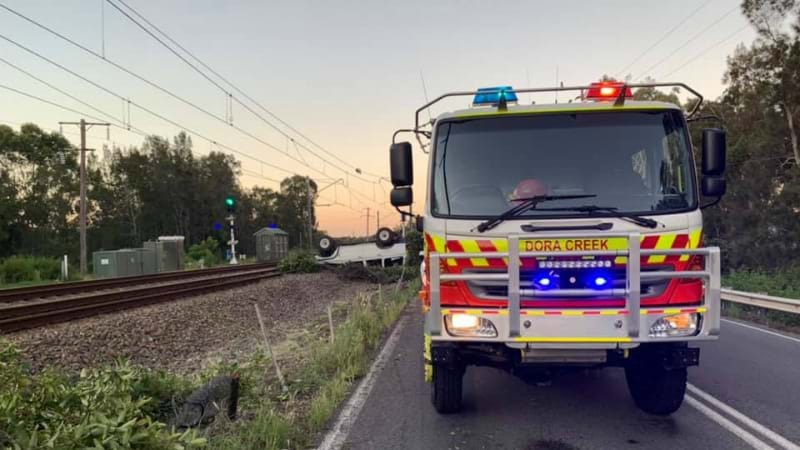 An alleged drunk driver's lucky to be alive after his 4WD rolled and ended up on the train tracks at Dora Creek. The man lost control of his Toyota Landcruiser on Main Road just before 7:30pm last night. Emergency crews arrived to find the vehicle sitting on its roof blocking the rail line. The 36 year old from Balcolyn left the scene but was later tracked down by police. He later blew 0.153 and was charged with high range PCA, negligent driving and not give particulars to owner of damaged property. Train services were delayed for about an hour.